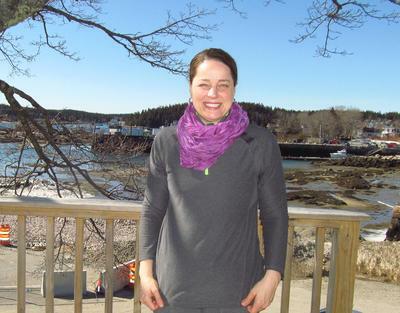 Anne West was named the Island Health and Wellness Foundation executive director. For the first time since established in 1966, the Island Health and Wellness Foundation, formerly the Island Medical Center Board of Trustees, has an executive director. The Board of Trustees named Anne West as the foundation’s executive director during a meeting on February 20. West has been involved with the foundation since 2010. The organization’s bylaws have always included an executive director, according to West, but no one was ever named to the position. “The board was going through its bylaws, and we noticed that it listed an executive director, but since we never had one, I asked if we should just take it out,” said West. The board decided to keep it in, which West said tipped her off of their eventual decision to name her as the executive director. West said she has worked in hospitals and in the healthcare field for most of her life. That, along with seven years of experience with the IMC, has given her an understanding of the tasks she now faces in her new position. The other arm of the foundation, according to West, is that it operates as a granting foundation for healthcare projects. The Island Medical Center celebrated its 50th anniversary last summer, at which time the foundation rolled out not only its new name but a new three-pronged fundraising campaign based on healthcare studies in the communities. That campaign raised $350,000 in just six months. The second prong in the campaign was to raise money for recovery and education programs to combat the heroine and opioid crisis in the island communities, and the third was for the Friends in Action program, a transportation service to take people to and from medical appointments when needed. Having that money is a “double-edged sword,” said West, because she and the Board of Trustees now need to make sure it is spent in the right places. West said that, moving forward, it is her hope that the nonprofits in the community continue to work together to give island residents the care they need, from students in the elementary school to the elderly at the nursing home.